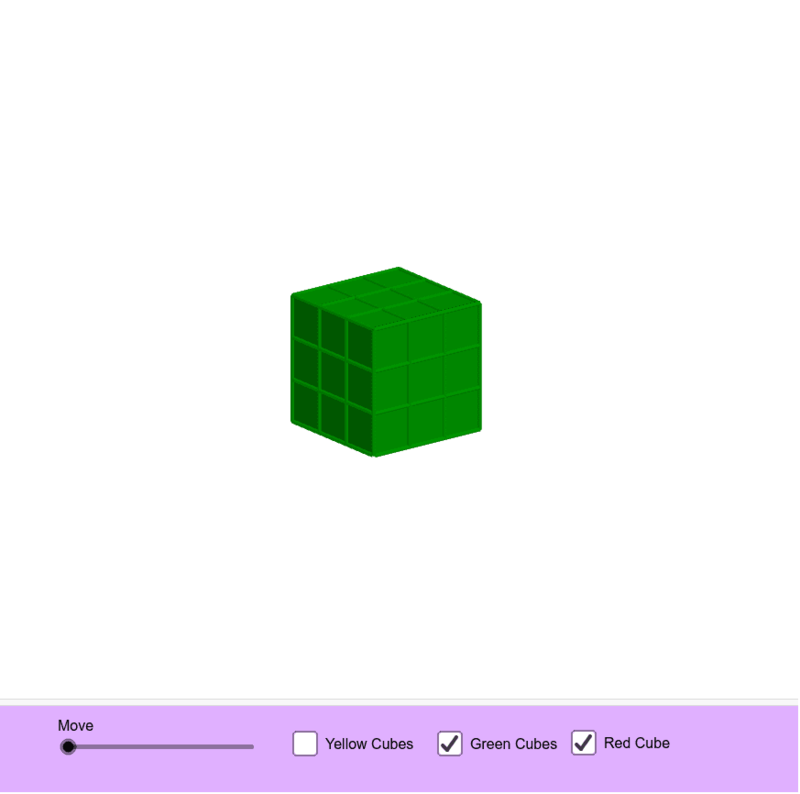 Visualise that you have an unlimited number of small cubes (all the size 1×1×1) in different colours. Then, imagine, you are building bigger cubes from these small unit cubes by wrapping layers (like in an onion or Russian nesting dolls) such that each layer has a different colour. Next, imagine the layers of small unit cubes and try to answer the following questions: Level 1. Imagine a cube, C1, of the size 3×3×3 (each layer has a different colour). a) How many layers does cube C1 have? b) Draw a picture, how the small unit cubes of the outer layer touch the faces of the previous layer inner cube. How many unit cubes of the outer layer have a face touching the inner layer face? c) How many unit cubes of the outer layer touch the inner cube along the edges? Draw a picture. d) How many unit cubes of the outer layer touch the inner cube at the vertices? Draw a picture. e) How many small unit cubes are there in total? Level 2. Imagine a cube, C2, that has one more layer than the previous one (each layer has a different colour). a) How many small unit cubes did you add to the previous cube C1? In Level 2, the questions b), c), d) and e) are the same as in Level 1.